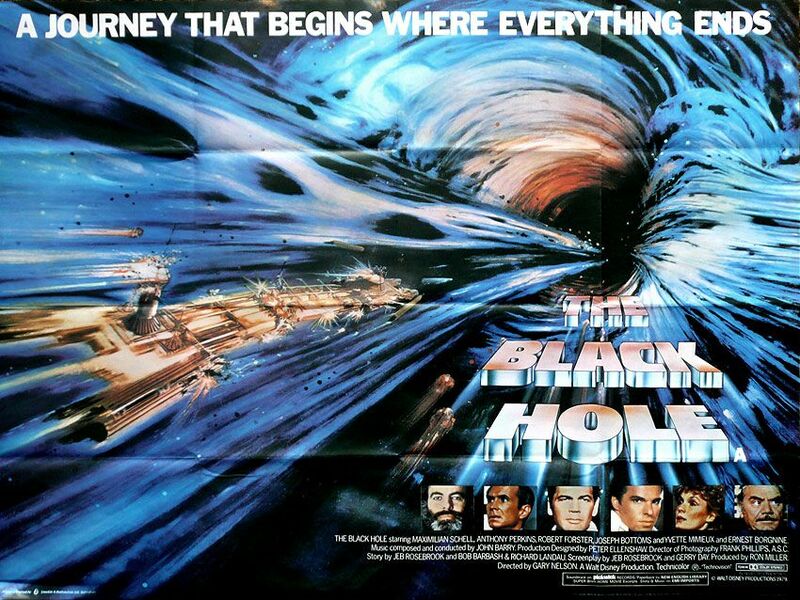 Disney’s plan for a remake of their 1979 sci-fi film The Black Hole now includes screenwriter Jon Spaihts (Prometheus). Spaihts has been tapped to rewrite the script for director Joseph Kosinski (TRON: Legacy). The original film starred Maximilian Schell, Anthony Perkins and Ernest Borgnine in a story that followed space explorers aboard the USS Palomino who come across a lost ship near a black hole. Inside the ship, the explorers meet a scientist who has plans of entering the black hole with his army of faceless robots in tow. Travis Beacham (Clash of the Titans) previously worked on the script after Disney began developing the remake back in 2009. Hit the jump for more, including the trailer for the original film. Heat Vision reports that Spaihts will be the man behind the pen of The Black Hole rewrite. The write-up calls the remake “a big idea, philosophical and somewhat dark in tone.” He’s also reportedly working on a script for Universal’s reboot of The Mummy but has some in-house scripting competition from Billy Ray (The Hunger Games). When last we spoke of The Black Hole, Kosinski had just come off of his directorial debut with TRON: Legacy and was then deciding between The Black Hole and, the movie that he ultimately chose next, Oblivion, which opens April 19th.